The Modelling News: Got your black paint ready? We review the Superscale decal sheets for the P-61 Black Widow in 32nd scale. Got your black paint ready? We review the Superscale decal sheets for the P-61 Black Widow in 32nd scale. The large scale P-61 needs some love. I haven’t seen that many of them on competition tables recently and not that many on the forums. There are some great aftermarket details from companies like Avionix & True details are making excellent add-ons of the physical parts of the kit but there aren’t much out there in decals for this kite. The two companies are Kitsworld and of course Zotz. Now Squadron’s studio decal maker Superscale International has chimed in with six schemes in 32nd scale to give you a little more choice. There are two separate sheets on offer here – and for convenience and so you don’t read me repeating myself I thought we would look at them both in a review. The physicality of the sheets are the same so let’s discuss the decals on hand first. 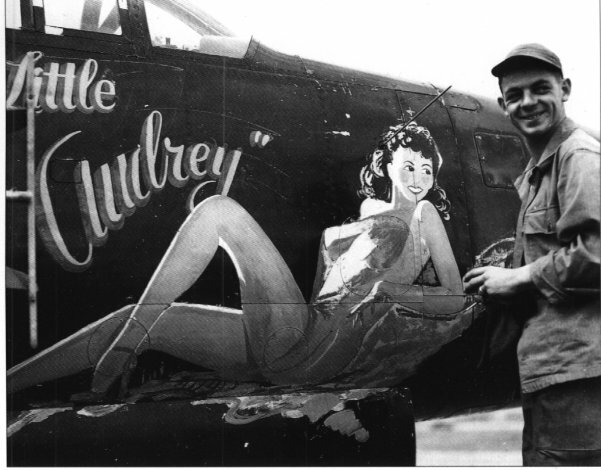 We will then look at the artwork and the references of the aircraft themselves. When held at an angle you can see the minimum of carrier film was used here - no lumpy bits! The sheets are printed in Italy by none other than the leaders in the decal market Cartograf. Those who are familiar with their decals will know that these are a little thick looking but incredibly strong and malleable. They stick really close to the painted kit and the colours are always strong. The carrier film is almost a non-issue on this sheet as it is cut so close to the artwork that most likely you will net see it – I am really impressed by this and the detail of the stencils as well which are legible even though they are TINY! Whites are white and not opaque as well, the reds of the serial numbers and the blues of the national markings are a strong dark colour as well so top marks for the makeup of the sheets. Both of these sheets include national insignia, nose art, aircraft specific stencils, propeller blade logos and stencils, colour profiles and painting notes and are recommended of course for the HobbyBoss kit. 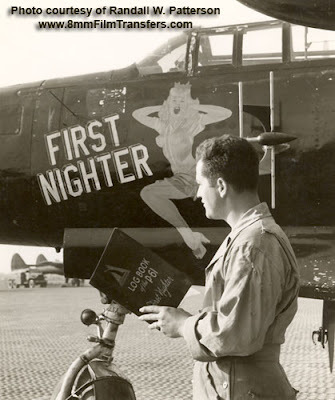 – Let’s look at the aircraft of each sheet in turn with the nose and tail artwork. The nose art is great and it will be a lot of people’s choices for this kite. Red spinners and cowling flaps and serial numbers on the tail should match the decal colour provided. 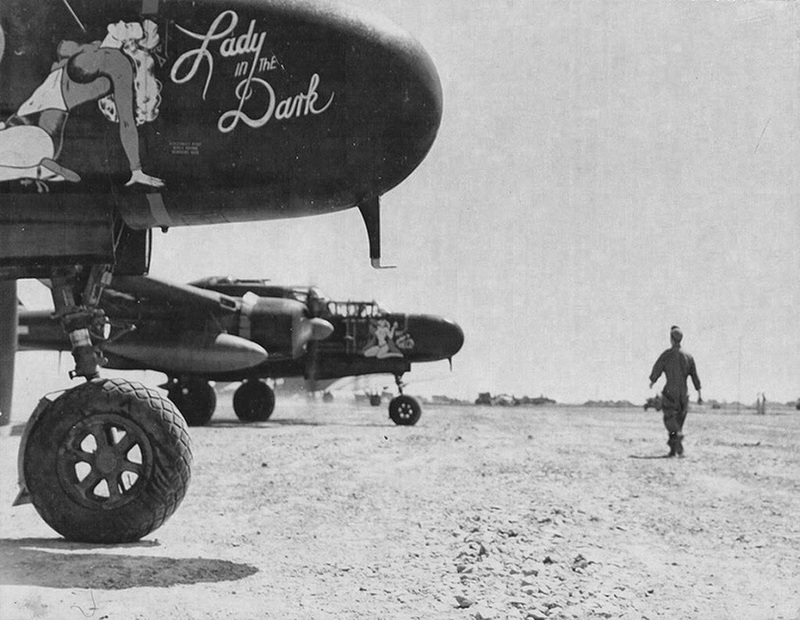 (It would have been nice to get an exact colour match for both of these) the nose art is the focus here. 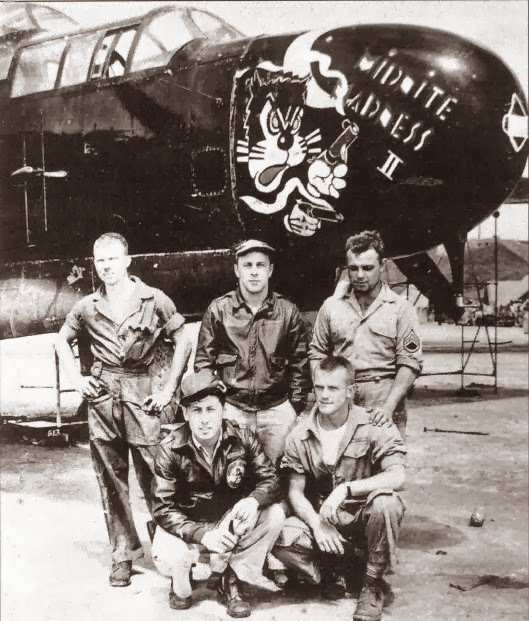 'Midnite Madness II' was actually two different aircraft – well I mean to say that there was an original and then a second aircraft – with the added “II” on the nose art – painted by the same artist and using the same stencils as the original. The first “Midnite Madness was destroyed in a landing accident caused by the runway being obscured by ground fog on the 20th of April 1945. The second aircraft was attended to by the same ground crew and the same aircrew - Capt. 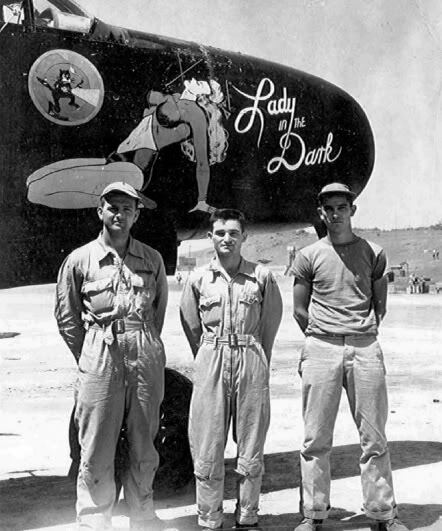 James W. Bradford, R/O Lt. Larry Lunt, and Gunner Sgt. Reno Lukow. The original kite - "No 1" not to be confused with our aircraft here. 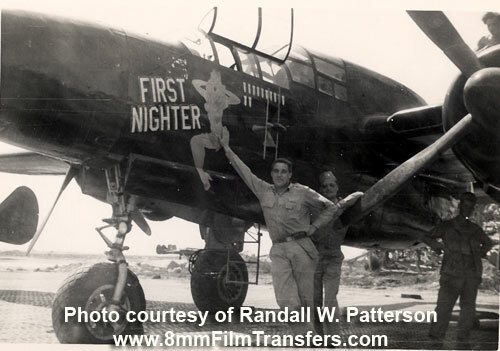 ...which is the second incarnation - the subject of our sheet "Midnite Madness II"
You can see here in these pictures above and below that the P-61's artwork has portrayed this very well on the decal sheet. 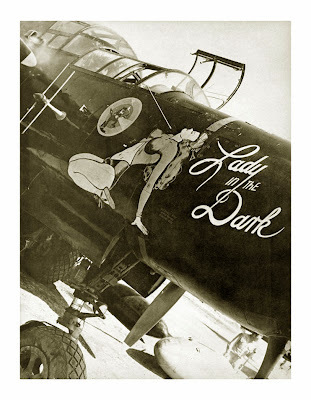 “Lady in the Dark” was one of the best-known schemes on any P-61 during the war – most probably because of the Vargas style artwork on the nose which made this kite pretty photographic. There are several shots from all around making this a great choice for accurate decals. There are helpful notes on the instruction sheet to omit the Curtiss Electric decals on the paddles of this overall black bird with red spinners and cowl flaps like the others in the unit. The artwork “recreates the recreation” of the Vargas artwork pretty well we think. 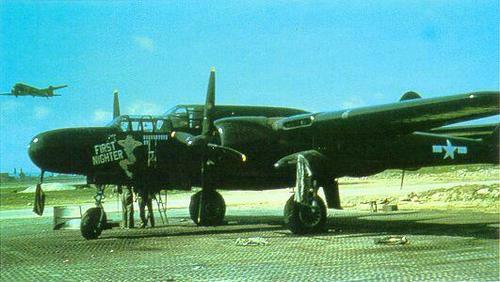 P-61B-2-NO s/n 42-39454 'Cooper's Snooper', 1945. 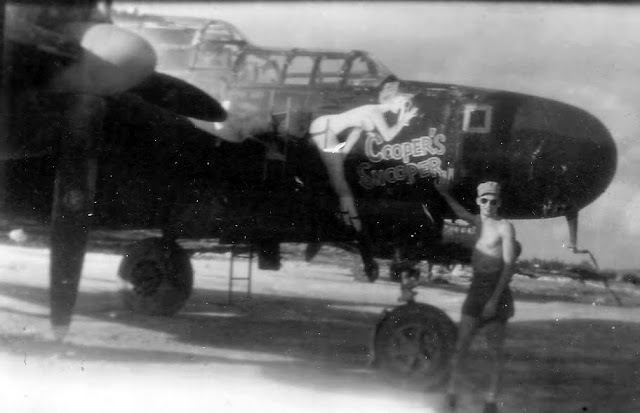 “Cooper’s Snooper” was from the 548th NFS in the Pacific Theatre based at Iwo Jima Spring 1945 and was flown by 1st Lt George C Cooper. Cooper’s Snooper has her serial numbers in red which is correct for this unit and the bending over lady looks pretty well represented here in my eyes. 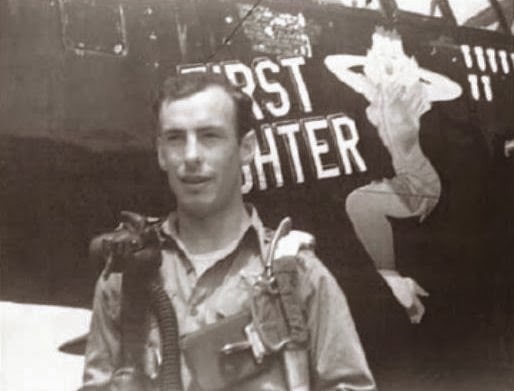 Captain Joe Jenkins was the pilot of the P-61 “First Nighter” flying from Belgium into the Rhineland areas and then into Germany in 1945. It is interesting that the profile mentions Italy when the decals were supposed to be dated to the northern Europe campaign. The reason was that Joe was sent as part of a detachment to Belgium from Italy at the time. This photo was taken of Joe in Italy before his departure. This model has a deleted top turret so take note! Captain Joe Jenkins was the pilot of the P-61 “First Nighter” flying from Belgium into the Rhineland areas and then into Germany in 1945. 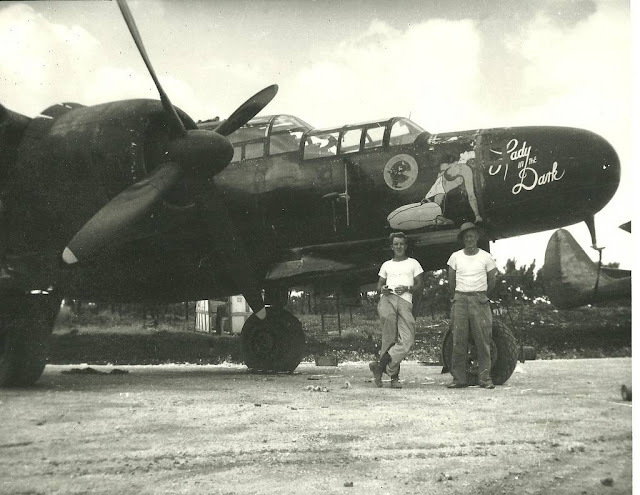 There are several close ups of the nose art for you to compare the decal to – do you notice the airman on the right picture reading his log book?? The art (above) - and the artist at work (below) a pretty good match! P-61B-15-NO s/n 42-39586 'Black Panther' of the 418th NFS, Pacific Theater, 1944. 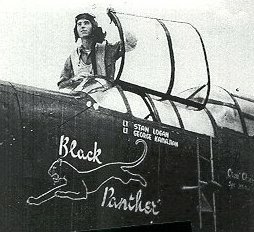 The last of these six on these two sheets – this kite “Black Panther” is well known I believe with modellers as the main focus is not only the nose art but the tail stripes as well which were dark blue and white. The ones on the sheet are a little too dark for my taste but they will do. 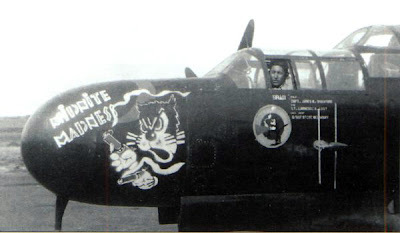 Flown by Lt. Stan Logan & Lt. George Kamajian the “Black Panther” was part of the 418th NFS which had the distinction of being the top scoring unit against the Japanese in the Pacific/CBI theatre. The name and the panther outline are yellow, while the SN star and moon for the tail are in white. 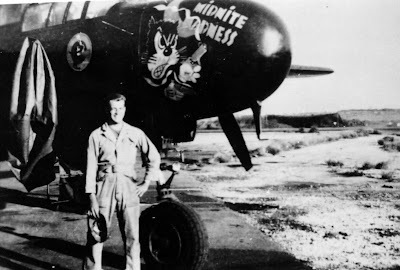 If I can sum them both up I would say that they are well researched – it did catch me out that there were actually TWO “Midnite Madness” aircraft – which I wouldn't have an idea of and are easy to mix up unless thoroughly researched. It is a shame that some of these schemes are found elsewhere but I suppose life isn't a monopoly and if you think you can do it better why not. I have seen nothing here to think that these aren't done any better than the other offerings. Great sheets – cheap and well researched.